Tuesday was Gender Day at the COP19 climate summit in Warsaw, and many of the events that took place in the National Stadium focused on the topic of gender and its relation with climate change, and tried to shed a light on problems that require action from policymakers. 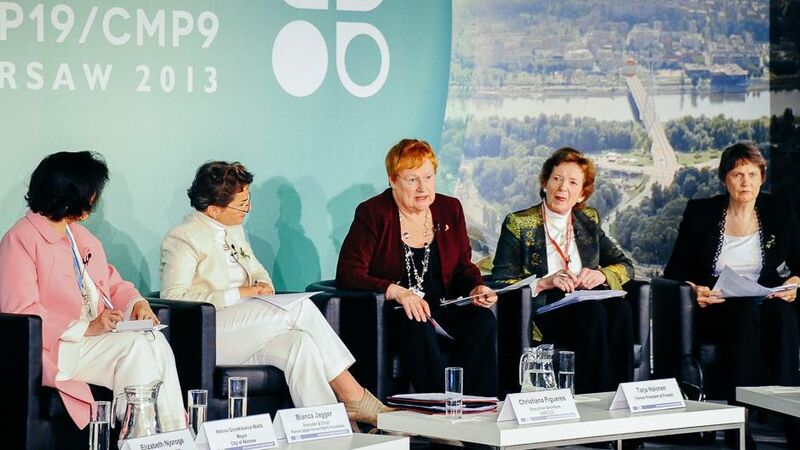 “The EGI is the first index of its kind, bringing together measurements of gender and environmental governance; 72 countries have been rated for six different variables, with each one of its indicators,” Aguilar said at the COP19 United Nations Climate Change Conference running 11-22 November in the Polish capital. The first outcome of this extensive research that should be stressed is that in many cases the highest-income group of countries — the 34-member Organisation for Economic Cooperation and Development (OECD) — recorded rather poor performances in reporting about gender, environment and sustainable development. “For instance, Women in Europe for a Common Future (WECF) is a platform that brought me into the debate, so I can bring in the grassroots dimension. Without their support I wouldn’t have the money to come on my own, I couldn’t afford the ticket, the accommodation, not even the registration to this event. “That’s what changes the vicious cycle — if somebody intervenes from the outside, appreciating that we are all living on this planet and have just one planet,” she said. Because women and men often have different lifestyles, their activities have a different impact on the environment and vice-versa. What they want to remind policymakers of is that climate change is caused by life’s day-to-day decisions and has an impact on everybody’s daily life. But because women and men often have different lifestyles, their activities have a different impact on the environment. Recently, UN Women carried out a study on flood early warning systems in Pakistan, looking at different aspects, such as the social composition in the different areas, whether men are based in such areas or are working outside, how women make decisions if there are no men in the home, whether they are able to make their own choices in case of a flood warning or are dependent on males in the home or in the streets. The attention towards gender-related issues within the climate change debate is growing, as shown by the decision adopted at last year’s climate summit in Doha to promote gender balance and participation by women in the UNFCCC negotiations, as well as by the big turnout at the Workshop on Gender and Climate Change held here on Tuesday 12 Nov.
Silvia Giannelli reports for Inter Press Service (IPS).